Working with millennials might sometimes seem like trying to suddenly speak a foreign language, but it’s not nearly as difficult as it might seem. Actually, as church leaders, it’s a great opportunity to better understand millennials and become the type of leader they need. It’s a learning experience on both sides, but well worth the effort. You’ll be surprised at how easy it is to work and worship alongside this generation once you figure out what they’re looking for in a church. You might see millennials on their phones all the time and think they aren’t really interested in being involved, but the opposite is true. When working with millennials, make them feel involved. Most of the time spent on their phones socializing. In fact, 81% of millennials check Twitter daily and Snapchat reaches 41% of 18 to 34 year-olds daily. They use their phones to stay involved with friends and family. Give them something to do and make them feel like part of the church community and they’ll be much happier. A common stereotype about millennials is they don’t exactly respect authority, but that’s not true. They just want to feel like equals. As church leaders, do more than just talk at them. Instead, ask for their opinions and ideas. This goes back to helping them feel involved versus feeling like a nameless face in a crowd. There are plenty of misconceptions when it comes to working with millennials and one of the worst is that millennials are too self-absorbed to care about anyone but themselves. Most actually actively seek ways to make a positive difference in the world. They look for churches that are involved in the community and that work to help areas in need, such as coming to the aid of neighboring communities during a natural disaster. Having a place to explore their faith, while making a positive impact is exactly what millennials are looking for. Give them that and they’re easy to work with. One noticeable difference between millennials and older generations is the digital culture. While many older adults have embraced technology, they’re still not quite as immersed as millennials. This is the generation of social media, selfies and sharing every detail online. In fact, they tend to live a large portion of their lives online. Working with millennials means mixing cultures. You don’t have to compromise everything, but adding a website and social media communication are two great ways to show millennials that they’re welcome and that you want to work with them. Millennials aren’t nearly as confident as they may appear. Just like everyone else, they have questions. They’re not always certain about what path to take in life or even something as simple as what role they might play in your church. Encourage them to ask questions. Make it easy for them to talk to church leaders privately so they don’t feel embarrassed asking about a personal issue in their lives. Having a open door policy makes millennials feel more comfortable engaging with leadership and helps them to feel more confident themselves. Want to know one of the easiest ways to making working with millennials a smoother process? Talk to millennials. It might not seem helpful, but the best way to understand their needs and concerns is to just ask. Small Groups spoke with millennial church leaders to shed some light on common misconceptions and what millennials wish other generations knew about them. The interviews even explain the TMI (too much information) issue with millennials. It’s their way of relating to others by sharing their own stories. One important piece of advice is to show millennials what to do by letting them into your life and sharing your own experiences with them. It’s how they relate and how they build both personal and professional relationships in life and within the church. Want to start working with millennials in your own church? 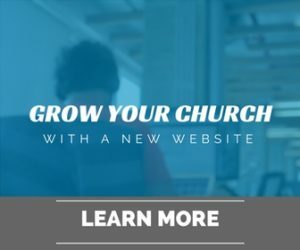 Start by embracing their culture with your own church website.